I took the trendy all-new Ford Fiesta 1.0 turbocharged EcoBoost Trend for a test drive at Consolidated Auto in Boksburg and found that it has a modern design that combines flowing, sculpted lines, not only enhancing the car’s appearance but improving its aerodynamic efficiency. The all-new Fiesta comes with a range of characteristics, including cornering lights, LED daytime running lights, LED tail lights and a chrome waistline. But its characteristic styling doesn’t stop there. 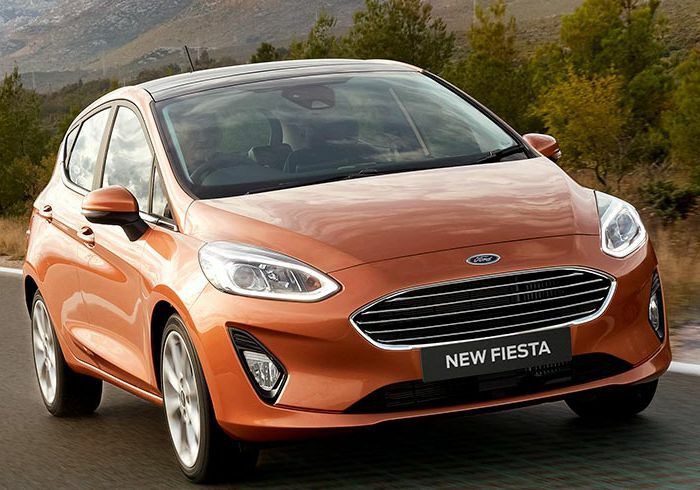 From the contrast stitching on seat trimmings, steering wheel and floormats to the chrome accents across the instrument panel, centre console and interior door handles – it all matches the Fiesta’s exclusive exterior body colours. The all-new Fiesta comes standard with Ford SYNC 3, which means that any trip you make will not interrupt your connectivity. The system integrates effortlessly with your smartphone, allowing you to control everything from phone calls and text messaging to music and satellite navigation, all via the touchscreen, or through voice commands. 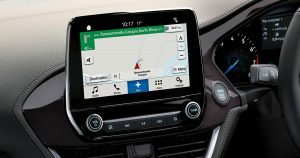 Ford SYNC 3 is also Apple CarPlay and Android Auto compatible, ensuring that you always have access to your network. Available in either 1.0 litre turbocharged EcoBoost engine with 74kW of power and 170Nm of torque or a 1.5 litre diesel option with 63kW of power and 175Nm of torque, these engines have been designed to reduce your cost of ownership through improved fuel economy and lower CO2 emissions, without any compromise on style or drivability. Ford’s state-of-the-art safety Intelligent Protection System (IPS) includes driver and front passenger airbags, driver and front passenger side-impact airbags, side curtain airbags for front and rear seats, Electronic Stability Programme (ESP) with Antil-lock Braking System (ABS), among other safety features, which provides you with the very best levels of protection. Visit Consolidated Auto or contact them at 011 306-2004 for more information about the Ford Fiesta 1.0 turbocharged Ecoboost Trend, or to book a test drive.